With the growing number of coffee drinkers and coffee gourmands, it is easy to see why the idea of growing a coffee tree at home is very attractive. 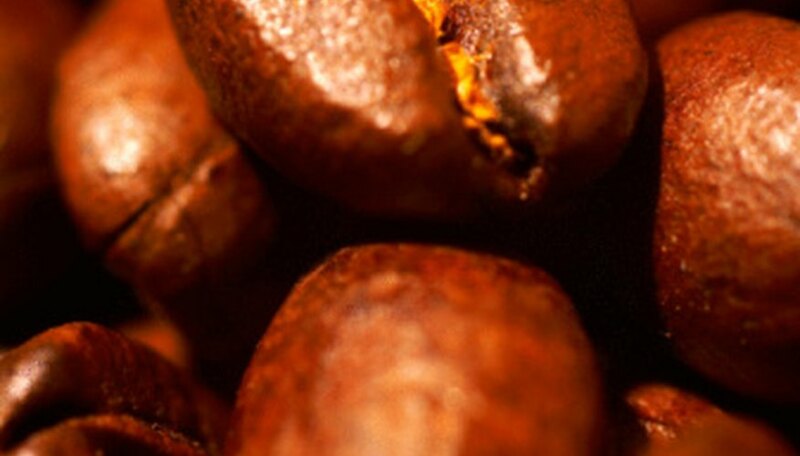 Coffee beans are the seed part of the tropical native coffee tree. The coffee seed must first germinate to produce the coffee tree that will provide you with fresh coffee seeds to roast into coffee in four to five years. Growing coffee at home is easy and fun as long as you provide the coffee tree with specific growing conditions. Harvest ripe, red coffee cherries from a healthy coffee tree if one is available. Coffee cherries are the bright red pulp and flesh surrounding the seeds within. If you do not have access to healthy coffee trees, order unroasted, green coffee seeds from a reputable supplier that harvests coffee bean seeds for the home gardener. Split the coffee cherry open with a knife and remove the coffee seed within. Place the coffee seed into a bowl of clean water, and wash the pulp and flesh from around the coffee seed. Fill a bowl with clean water and pour all the washed coffee seeds into the water. Allow the coffee seeds to soak for 24 hours, and then discard any seeds that have floated to the top of the water. Floating coffee seeds are not viable and will not germinate. Spread the viable coffee seeds onto a mesh window screen to dry in indirect or partial sunlight. When the exterior coffee seeds appear dry, break open a seed to check for moisture levels on the inside. If the exterior is dry and the interior is moist, the coffee seed is ready for germination. Skip this step if you ordered your green coffee seeds as they have already been prepared for planting. Fill a seed-starting tray halfway with clean sand. Dampen the sand with water until moist. Insert one coffee seed at least 1/2-inch under the sand, spread 2-inches apart in the tray. Continue to keep the sand moist with water until the coffee seeds begin to emerge, which can take up to six months. Prepare the soil outdoors in an area that receives partial sun -- preferably at least eight feet away from an overhanging tree. The shade provided by the overhanging tree will replicate the understory growing conditions the coffee trees enjoy in their native environment. Loosen the soil 12-inches deep with a shovel. Spread a 4- to 6-inch layer of leafmold or rotted manure on the soil. Use the shovel to incorporate the compost amendments into the existing soil. Lift the germinated coffee seedlings out of the sand with a large spoon. Plant the small coffee seedlings into the prepared soil. Spread a 1/2-inch layer of mulch around the tiny seedling to help preserve the soil moisture content and use a watering can to moisten the soil around the seedling after planting. Water the coffee tree two times per week, adding a liquid orchid fertilizer to the water for one of the two waterings. Refer to the directions stated on the orchid fertilizer for complete mixing ratios. Harvest the ripe, red coffee cherries from the coffee tree in two to four years. Grow the coffee tree in a temperature-controlled environment such as a greenhouse to provide high heat and humidity. Coffee trees will not grow well in areas where temperatures drop below 50 degrees Fahrenheit.